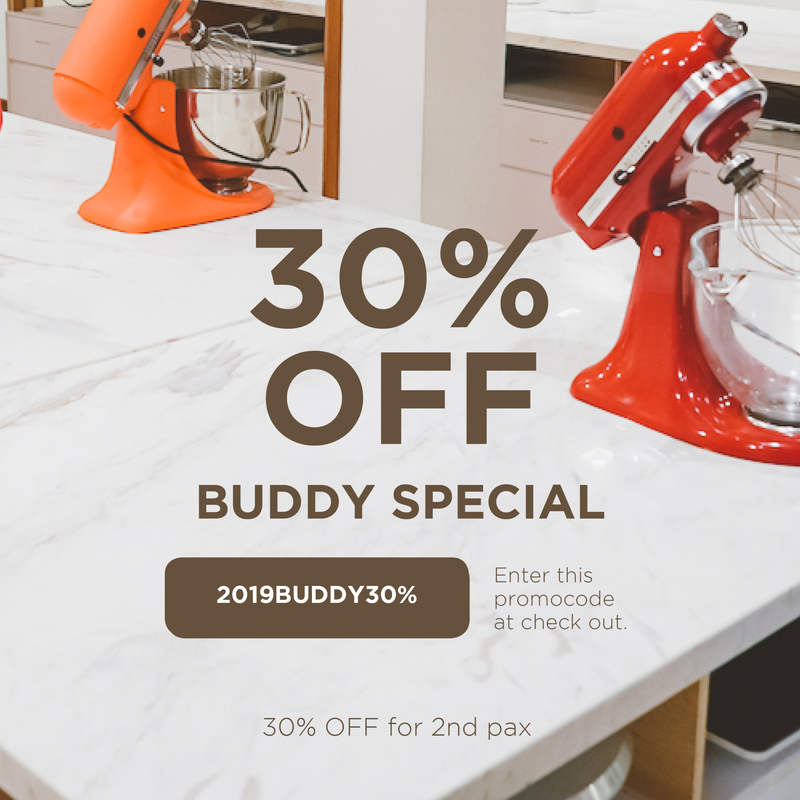 Bake one cake together with your buddy and the 2nd person is entitled to 30% OFF the price. Two people work together on one recipe and go home with one cake only! 1. Sign up for our class through the website.